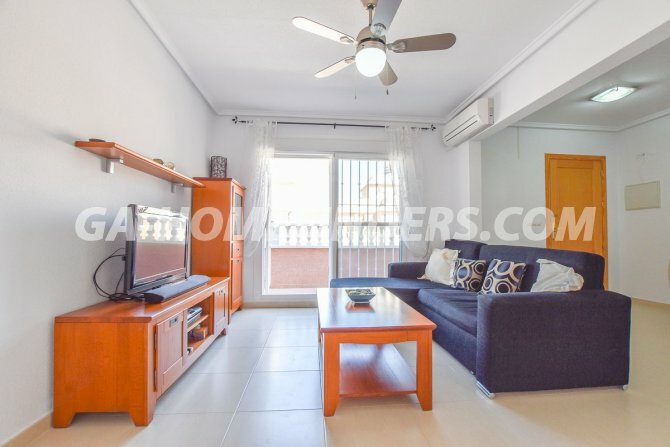 Furnished top floor apartment which has 3 bedrooms and 1 bathroom. 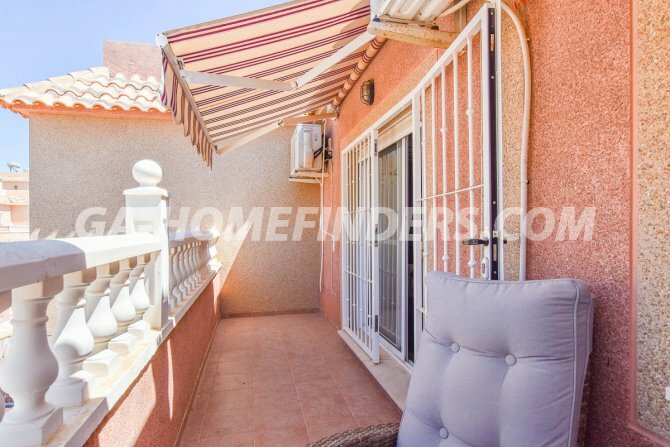 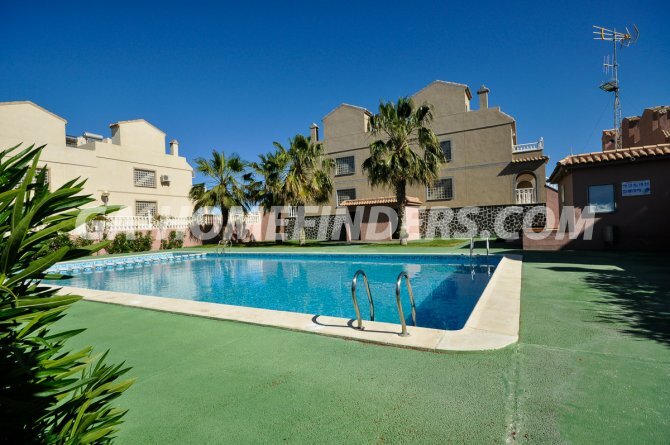 At the entrance of the property there is a large terrace and independent staircase to go into the apartment. 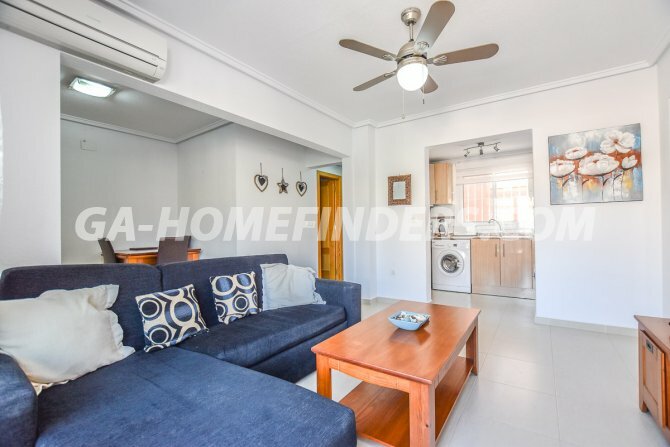 The open plan kitchen is equipped with appliances, all the bedrooms have spacious fitted wardrobes, all areas of the house have ceiling fans and there is also air conditioning (hot and cold). 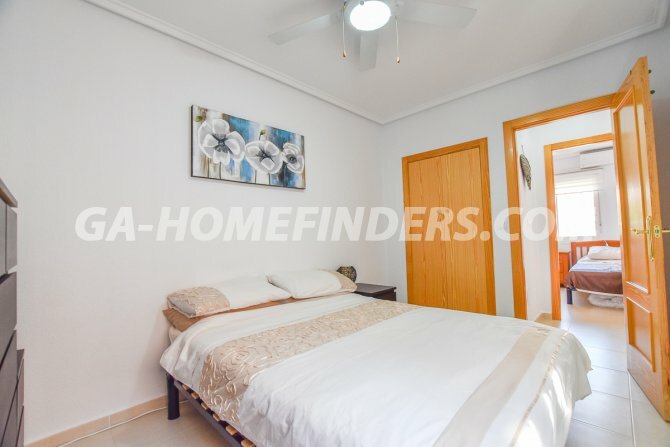 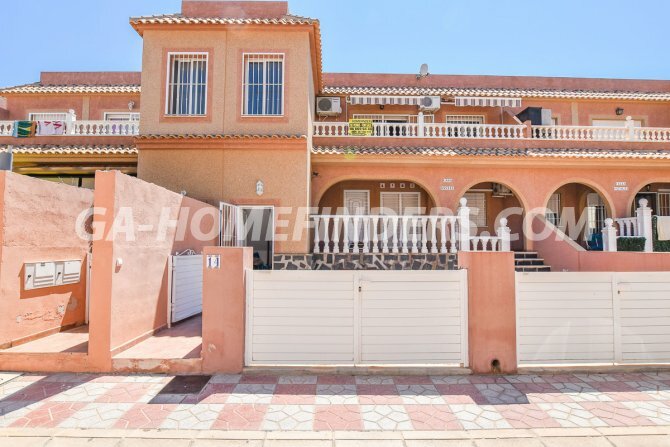 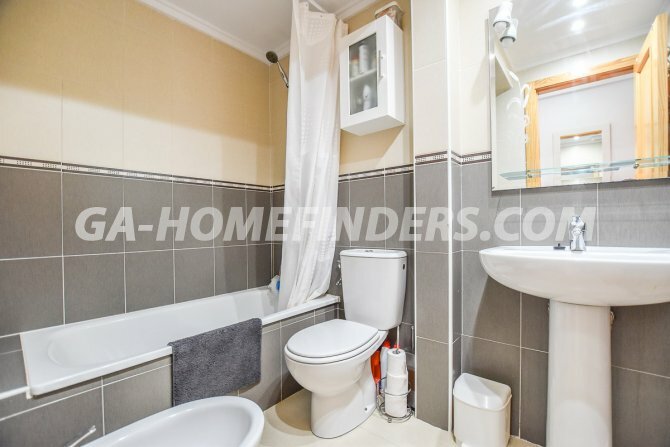 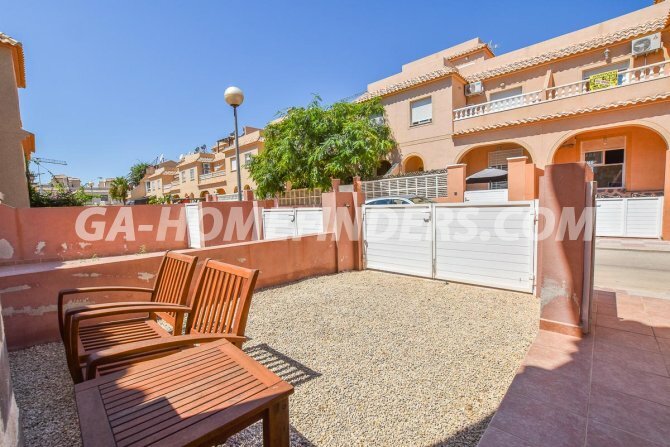 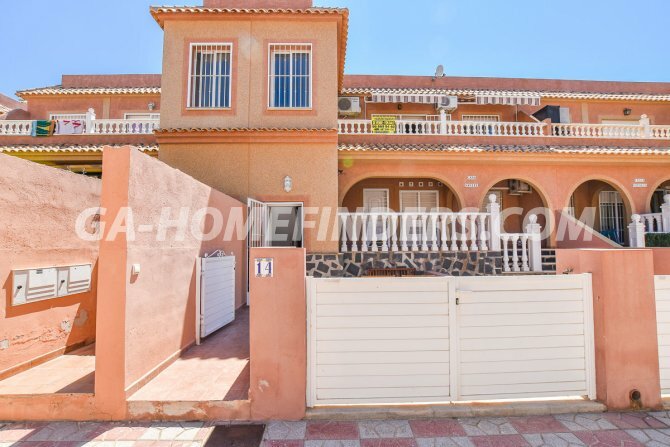 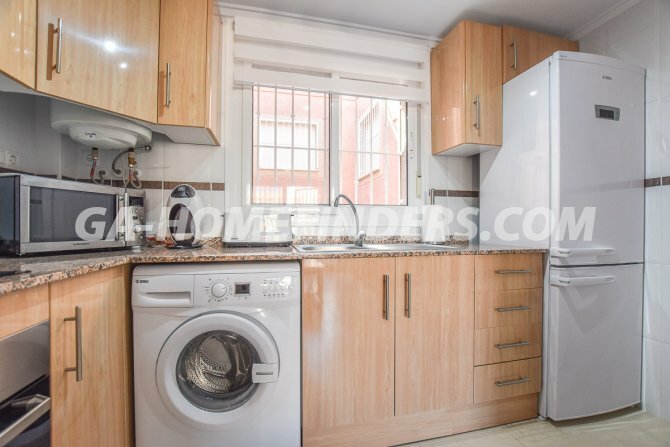 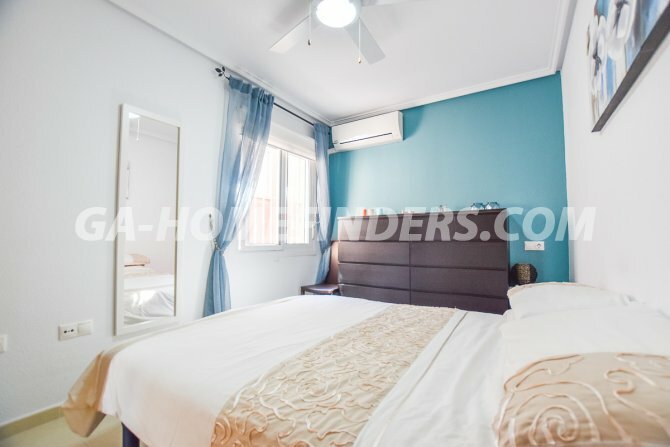 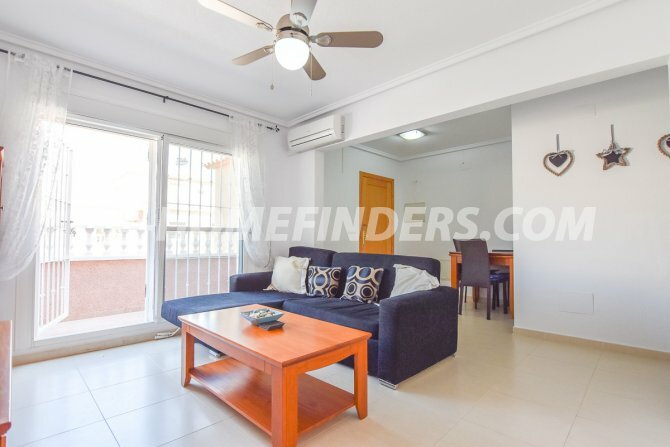 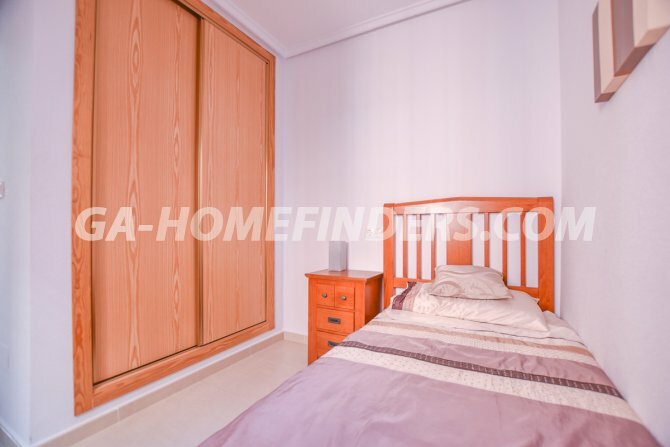 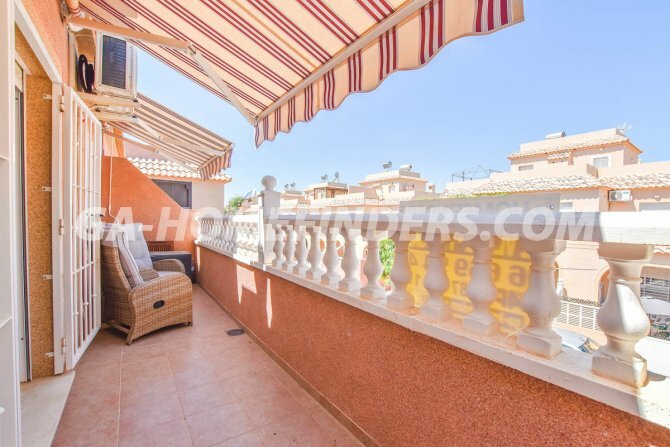 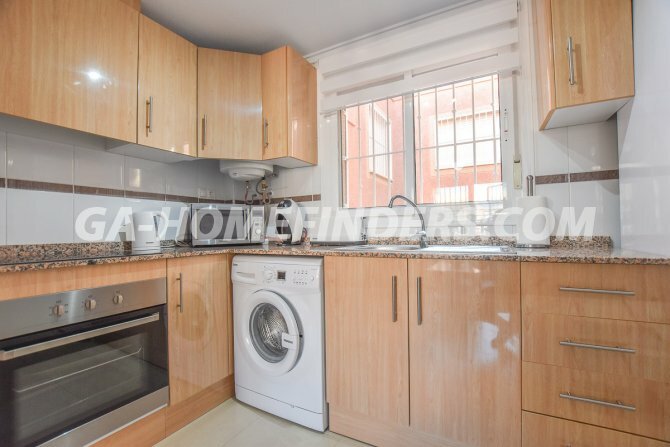 The apartment is in the lower part of Gran Alacant in a quiet urbanisation with a communal swimming pool, it is conveniently located within walking distance to the GA Commercial centre for access to shops, bars, restaurants and public transport. 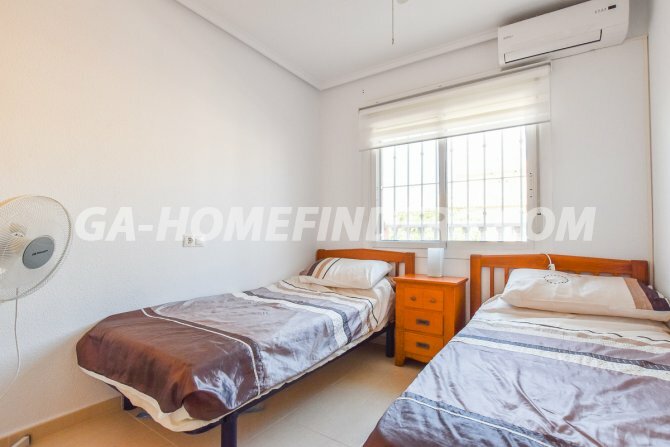 It is less than 5 minutes by car to the Carabasi beach.